As we head into fall, students are heading back to school and it’s a perfect time for everyone to get SMART when using the roadways. SMART is an acronym to help you remember to walk, ride and drive safely, especially around school zones. 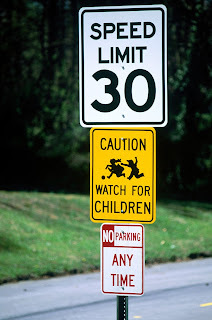 Understand that kids cannot accurately judge vehicle distances and speeds and may make unpredictable movements. Many are also shorter than the bumper height of an average SUV or pickup truck. It’s that time of year when kids are headed back to school, so always be alert for children biking, walking or using the bus. Stay alert. Watch for other people walking, biking, driving, or getting on/off transit. Don’t ever text or look at your phone when operating a vehicle. If you’re walking or bicycling, stay aware of your surroundings for personal security as well as navigation. Walking: Drivers need to see you to avoid you. Walk and stand where you can be visible; make eye contact with others when crossing busy streets if you’re able to; if you will be walking near traffic at night, carrying a flashlight helps make you more visible. On the bike: Pay attention to the road surface and potential hazards. Drivers: As the operator of the larger, heavier, faster vehicle you make decisions that have the biggest effect on the outcome for everyone, and the second or two it takes for you to be sure it’s safe to pass or turn can make all the difference. When you’re around places you can expect children — schools, parks, and ice cream trucks, for example — expect them. Always slow down for kids on bikes; they may not be able to ride as predictably. Don’t assume someone walking can see or hear you — they may have a vision or hearing disability. Maintain space. Remember, time is distance. When you leave room in front of you, you’re giving yourself time to avoid other people riding, driving, or walking as well as hazards in the road. Walking: Cross at crosswalks or intersections, even if you have to walk a bit farther to get there. 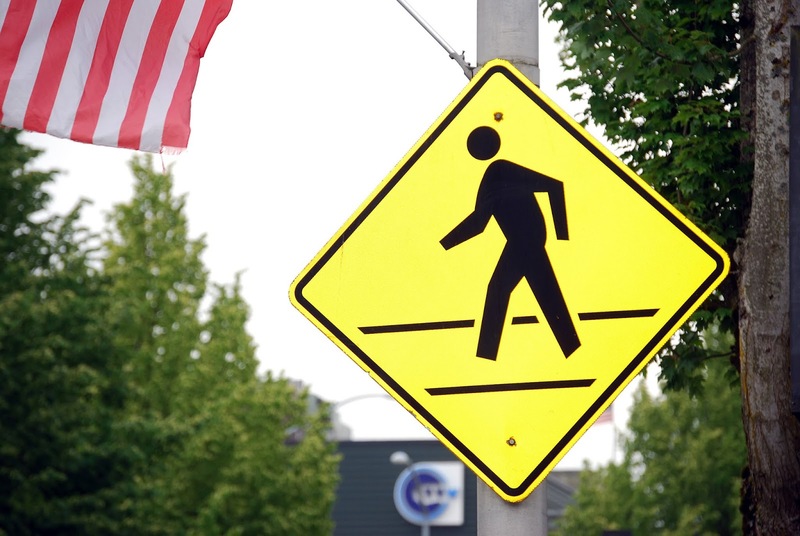 People walking are most often hit by drivers when they cross the road at places other than intersections. On the bike: Ride outside the door zone, where a driver opening the door of a parked car can create an obstacle. Pass other riders with enough space in case they need to react to a hazard, and call out or ring your bell to let them know you’re overtaking. Drivers: Remember that every intersection is a legal crosswalk whether or not it’s marked with paint or indicated with signals. The majority of driver collisions with people on bikes occur when overtaking the rider. Leave at least three feet of space between you and a person on a bicycle when passing — even more when passing at higher speeds, such as on a highway. They may need to avoid hazards in the street or road that you can’t see. Act predictably and safely. Don’t make abrupt movements, lane changes or turns without making sure it’s safe for everyone and you know what other traffic is on the road and where they’re heading. While crossing at a marked and designated crosswalk is safest, drivers should always be alert for pedestrians – especially children – crossing the street. Walking: Stop at the curb and look/listen left, right, and left again for other traffic. Stopping at the curb before moving into the street gives you time to evaluate traffic flow and lets others know that you intend to cross. Always obey traffic signals. On the bike: Position yourself to be visible — if there’s no bike lane this means riding in the vehicle travel lane, usually in the right-hand tire track. Ride in a straight line. Use bike lanes and trails when they are safe for your use. Have a working headlight and rear reflector or taillight. Drivers: Don’t honk your horn. Use eye contact and courteous driving to communicate that you see the bicyclist or pedestrian. Use the “Dutch Reach” to open your door when getting out of a parked car on a street: Reach across your body with your right hand for the door handle. This causes you to rotate your body a bit, which serves as a reminder to look behind you and ensure the lane is clear of all traffic before opening (as required by state law). Respect the rules of the road. Obey traffic laws, signs, signals and pavement markings. Signal lane changes, turns and stops. Drivers and bicyclists must yield the right-of-way to pedestrians. 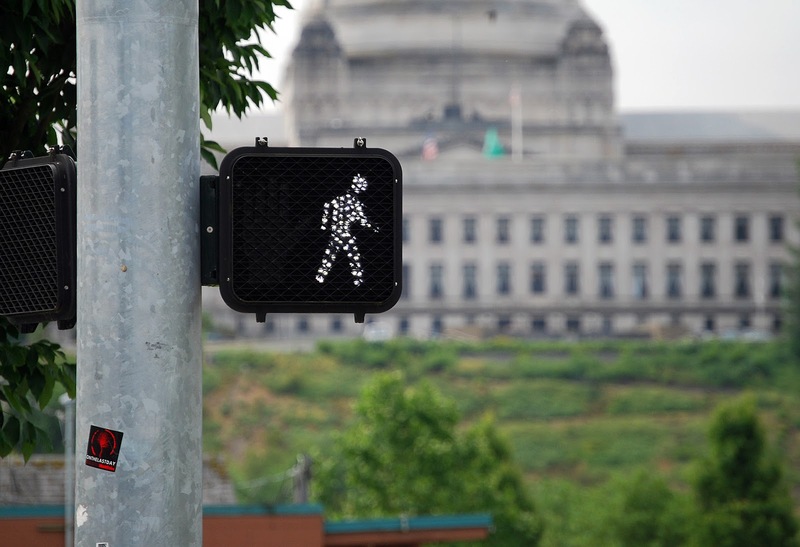 Pedestrians should cross the street when it’s safest to do so – like when the signal indicates so – and drivers should always check to make sure a crosswalk is clear before moving. Walking: Obey traffic signals. At intersections where traffic is controlled by signals or a traffic officer, pedestrians must obey the signal and not cross against the stop signal unless specifically directed to go by a traffic officer. On the bike: Call out or ring a bell before passing someone walking or biking. Ride in the same direction as motor vehicles. Drivers: Look and look again before turning. Don’t overtake a rider and then turn in front of them (a “right hook”), or fail to see them and hit them as you turn left (the “left cross”). When another driver is stopped at a crosswalk — whether marked or unmarked — to let a pedestrian or bicyclist cross the roadway, the law requires you to stop too. Don’t assume no one is crossing just because you don’t see them; bear in mind that you can’t see the full width of the roadway past the body of the other vehicle. Think ahead. Scan ahead to give yourself time to see and adjust to a change in traffic flow or someone who’s making a turn or changing lanes. Walking: Walk on sidewalks and when they are not available, walk on the left shoulder of the road, facing traffic so you can react if a driver is coming toward you. On shared-use paths, however, if no markings or signs tell you which side to use you should walk on the right-hand side in the same direction of travel as people on bicycles. On the bike: Allow time to adjust your line of travel so you can ride around that pothole or broken glass. Cross railroad tracks at a right angle. Scan ahead for situations such as a bike lane ending so you can merge safely with automobile traffic or move to the sidewalk if you prefer (where you should ride at a walking pace and yield to people walking). When entering a more congested section of a shared-use path, expect heavier traffic and adjust your speed. Drivers: When passing make sure you know what path the bicyclist is taking. Are they planning a turn? Before deciding to pass make sure there is no traffic coming in the opposite direction — including other bicyclists. Check your mirrors and look back before moving back into the lane just as you do when overtaking another motor vehicle; the bicyclist may be traveling faster than you realize. Driving on a rainy I-5 yesterday I remembered somewhere in our travels seeing a road sign "Wipers on? LIGHTS ON!!! It's the law." Wish it was the same here. Where do I go to get a campaign going?